We are the printing experts, and we are here to help you every step of the way. PDF files are generally the best way to deliver your files to print to us. If you lack the software to save files as PDF or need some help going through the process, look no further. We're here to help! If you do not have a program or print software that will save as PDF, follow these instructions. Download and Install the PDF Creator software. This is a FREE, open source PDF software printer that will allow you to save documents as PDF from any application. Follow the on-screen directions, installing the PDF Creator software. Open the document you are attempting to send to us for printing. Select "PDFCreator" as your printer and click "Print"
The PDF Creator window opens, you may fill out any relevant information you want here, then click "Email" to email the PDF or "Save" to save it to your computer for uploading or to email at a later time. PDF printing is built in to the Mac OS X system. You do not need any additional software. In the lower left hand corner of the print screen, click the "PDF" button then select "Save as PDF" from the drop down menu. If you have a large document that can not be emailed, we have a file upload service built in to our website. Click on the "Upload A File" button on the top right of any page to goto our form where you can upload your files directly to us for printing. NOTICE - Prestige provides these instructions and linked software as a helpful service to our customers. As all systems are slightly different, we can not guarantee this procedure will work on your system, nor can we be held responsible if problems occur. Please take all precautions, such as scanning downloaded files with a virus scanner and reading any security warnings your system may present you. Prestige Printing / FASTSIGNS will not be liable for any damages resulting from use of information or software obtained from this website. Contact a Prestige Customer Service Representative to get your job quoted and see how affordable quality printing can be! 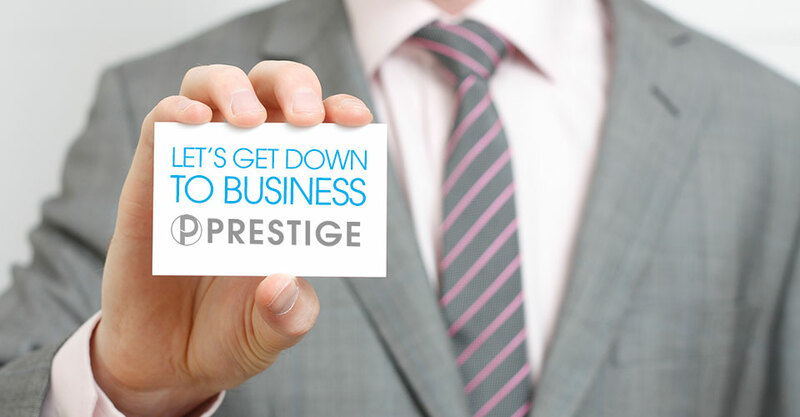 The Prestige Newsletter is packed with tips on how to generate new business and expand your current customer base. Sign up today to begin receiving these valuable tips! Visit Our Blog To Sign Up Today!